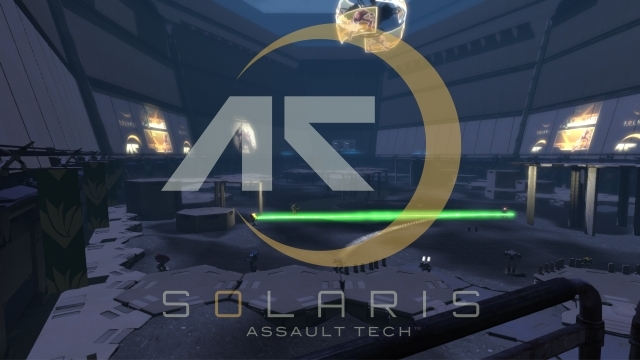 Solaris Assault Tech isn't just a game, it's an event! Featuring a professional sports-based atmosphere including fully ranked tournament ladders, similar to League of Legends, Starcraft, and World of Tanks. Solaris Assault Tech features a mobile client which provides players with an interactive live tournament system that allows players to sponsor other players via an in-game currency. Players can also place bounties, in real time, on dishonorable players. In-game currency can be used to to upgrade your mechs and buy new equipment. Winners of seasonal tournament ladders will receive special in-game rewards. Tournaments are sponsored by official companies recognized by the Solaris Gaming League or SGL. Your ultimate goal is fame, glory, and cold hard cash. We recognize at MekTek that there are plenty of Mechwarrior combat simulators being developed within the community and officially. MekTek is not interested in competiting for a spot between Mechwarrior Online, Crysis mod Mechwarrior Living Legends, or our own Assualt Tech1: BattleTech. Our Studio is interested in building a premier Arena based combat game which we hope will become a commercial success story by working directly with the BattleTech franchise licensee Virtual World Entertainment LLC., and mobile MechWarrior rights holder Personae Studios, LLP. Solaris VII is known across the galaxy for its 'Mech fights. Gamblers place exorbitant amounts of money on longshot bets, and fortunes are won and lost daily. Solaris City, in particular, hosts six major arenas and numerous MechWarrior stables. Every year there is a Grand Tournament, which culminates with the naming of the year's champion (notable champions include Gray Noton and Kai Allard-Liao). However, the games were all but suspended following the breakout of inter-House hostilities within Solaris City in 3063, resulting in numerous casualties and precipitating the FedCom Civil War. Can you describe Solaris City? The beating heart of the Game World, Solaris City is the home of the movers and shakers of Solaris VII. The city, which is home to some five million people, is divided into six districts and, with the exception of the International Zone, each of those is considered property of one the five Great Houses. They are the Black Hills (Davion), Cathay (Liao), Silesia (Steiner), Montenegro (Marik), and Kobe (Kurita). Each of the districts hosts a Class Six arena, where the top twenty MechWarriors battle each year to determine the championship. Residents of the sectors are actually still considered citizens of their respective nations, so Solaris City finds itself the home of many individuals who are persona non grata in their home nations, but still wish to remain citizens. Because of this phenomenon, the residents of Solaris City are often unrepresentative of the people from their parent nation. Can you tell us about the Arenas? There are Class One through Class Five areans scattered throughout Solaris VII, but the five Open Class (or Class Six) arenas where the most important duels on Solaris are fought are in Solaris City. Boreal Reach The Davion arena uses holographic technology, coupled with advanced environmental controls, to produce virtually any setting a person can conceive of. It takes its name from one of the more popular such settings, a polar glacier. The arctic environment provides challenging footing, while enabling MechWarriors the push their 'Mechs to the limit, thanks to the extreme cold. The Factory The Marik battlefield began its life as a shuttle manufacturing plant large enough to accommodate IndustrialMechs. The decrepit facility features multiple levels, and elevators and ramps to move between them. Ishiyama The Kurita area is actually a series of tunnels dug into a man-made mountain. Stone Mountain provides a hide-and-seek style engagement. There is also electromagnetic interference from the materials that the mountain is made of, making any fight here unpredictable. The "mountain" was built in 3007 in Kobe District. The Jungle This parcel of land was originally planned as a Buddhist monastery, but the Liao government decided to designate it as their official "arena." The battle area in this open tract is demarcated by a series of beacons. Extra beacons located inside the battlefield can be activated to shrink the area of the field down to a quarter of its full size. Steiner Coliseum The arena in Silesia was designed with a Roman-esque facade. The battlefield of the arena is largely featureless, utilizing walls that can be raised or lowered to provide variety. PC Gamer has listed Solaris Assault Tech as an expected top game of 2012. Oh my God... this is BattleTech! nice mechs. been waiting agesd for a half assed mech game.. still hasnt been down right since mech:mercenaries as far as im concerned. Any new updates on its way any chance of gameplay or more pictures? Sure. Actually we've been working on some video footage.